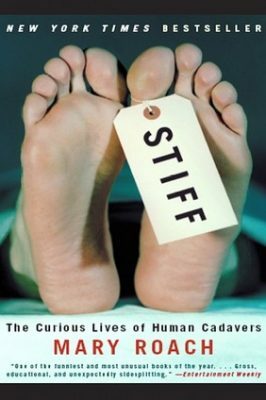 Stiff is an oddly compelling, often hilarious exploration of the strange lives of our bodies postmortem. For two thousand years, cadavers—some willingly, some unwittingly—have been involved in science’s boldest strides and weirdest undertakings. In this fascinating account, Mary Roach visits the good deeds of cadavers over the centuries and tells the engrossing story of our bodies when we are no longer with them. When I saw I had to read a book about science for my challenge I was NOT excited. It just isn’t my thing. I picked this book because it sounded interesting and I definitely was not disappointed. First off I love the way Roach writes. 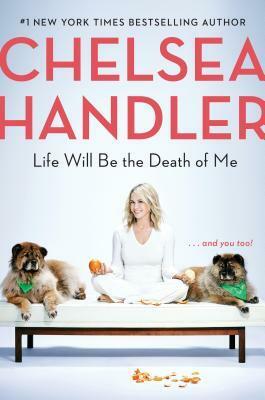 She was clearly very informed on the subject and she writes with humor that makes something that may seem macabre, or at times boring, very enjoyable. She not only wrote about the different things that cadavers are used for in present day, she also talked about the history of each topic. I learned a lot that I never knew and while it didn’t make me want to donate my body to science, I definitely now want to donate my organs. I would be interested in checking out other books she has written and for me to want to read more books about science that shows how much this book kept my attention.